I've only played #PUBG a handful of times, but I was lucky enough to wind up on a #1 team yesterday (and to survive the whole match with them). Woot Woot! #SaturdayNightMagic results from last night: My #Estrid deck dominated the first (3-player) game, but #Saheeli came up short in the second one, leaving me at 1-1 for the night. Both decks were alot of fun to play, and each provided an OMG moment (or two), so it was definitely #GoodTimes. 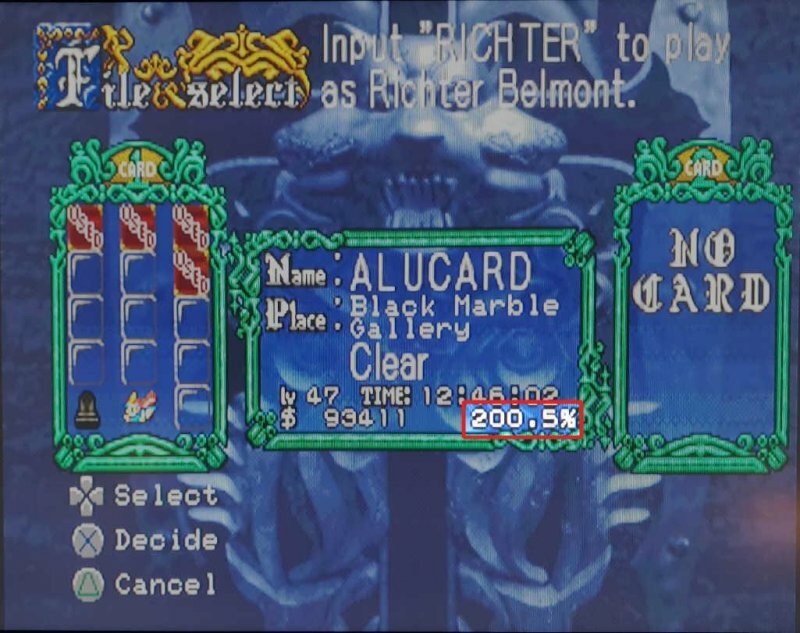 A screenshot from "Castlevania: Symphony of the Night" (PS1) running on my PS3, showing that I have completed 200.5% of the game. I believe that I can safely say that I have never completed anything else in my life to that degree. *Never*. So, #AchievementUnlocked!